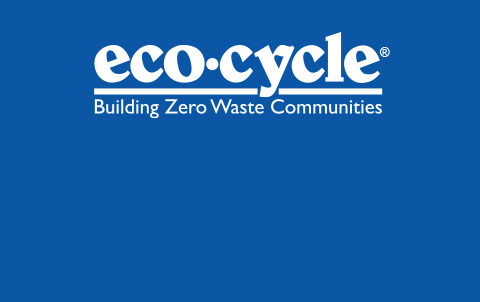 Why choose Eco-Cycle for your waste services? When you choose us, you not only help YOUR business, you also support local schools, our Boulder County community, and the planet! As a social enterprise, we reinvest revenues back into Zero Waste programs that reach every sector of the community. Our business customers’ revenue helps provide environmental education for over 55,000 students a year. 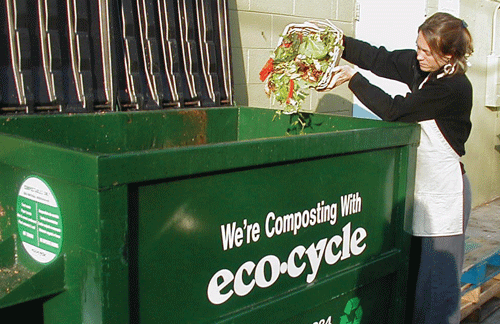 Due to our business customers’ recycling efforts, nearly 11,000 tons of toxic pollutants are eliminated every year! 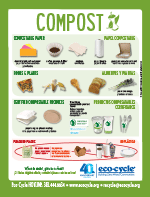 Questions about your company’s waste stream? Is your dumpster overflowing? We are here to help! Call 303.444.6634 ext. 109 or 101, or email for a quote or more information. 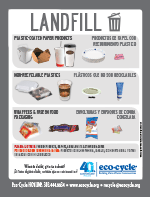 The City of Boulder Universal Zero Waste Ordinance – a simple guide to exactly what you need to do to reach compliance. 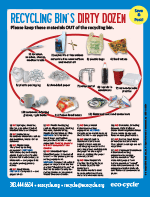 A to Z Recycling Guide – Where do my batteries go? My fridge? Used printer cartridges? 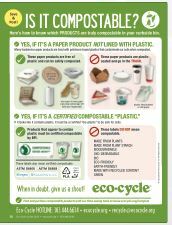 If there's a recycling option for your item in Boulder County, it's in our local A-Z Recycling Guide!